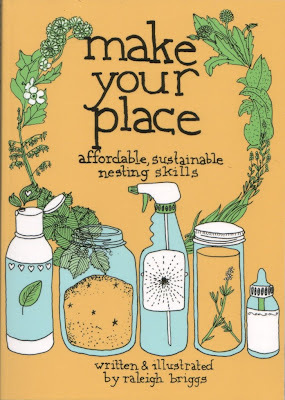 I came across this little book, Make Your Place: Affordable, Sustainable Nesting Skills - a quirky and charming hand-illustrated book that is kind of like home-ec for greenies (from what I can discern on the internet; I have yet to order my copy for only $5!!!) 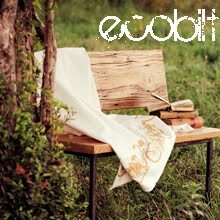 The book illustrates home made solutions and remedies for a well-kept green home. It's hand-drawn nature reminds me of one of my favourite cookbooks, Mollie Katzen's The Moosewood Cookbook (if you're a veggiesaurus this is a must). I haven't featured books here yet on Pure Green, but it's one of my favourite past-times, so why not? My reading list is also a mile-long, so I'm doing a little vicarious reading with you here as well. So, if you feel inclined, pick up this 'zine' published by independent publishing house Microcosm Publishing. They have many great reads that I'm dying to browse through. I also love that they are so upfront and sincere about their limited marketing budget, and so I am more than happy to answer spread the word on their behalf. As a small company, I certainly get that.